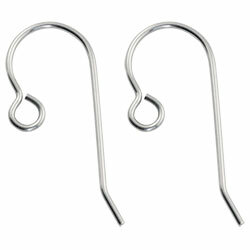 Hypoallergenic stainless steel earring hooks (ear wires) to replace the hooks on existing earrings or to make your own. 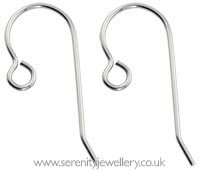 These are a good price, easy to use (I just used my hands, but if you have jewellery pliers, you could do a more precise job) and have saved lots of nice earrings that I couldn't wear before. Stainless steel is hypoallergenic but does contain a small amount of nickel (a little more than 316L surgical steel) which may cause a problem if you are very sensitive to nickel. Read more about steel grades and metal allergies here.